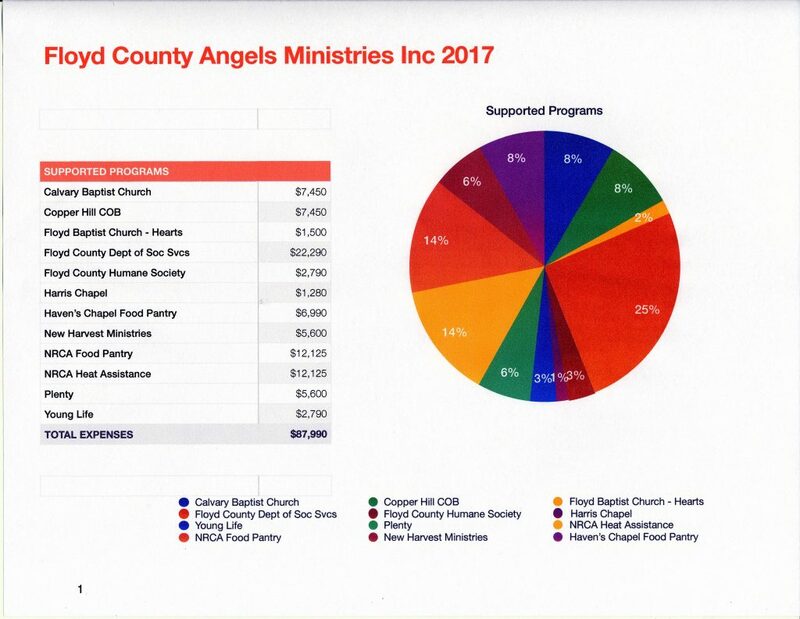 Full Disclosure on money flows – check the window at the Angels in the Attic Store anytime, or review the financial documents posted below, for the most recent calendar year (click the pages to enlarge them). 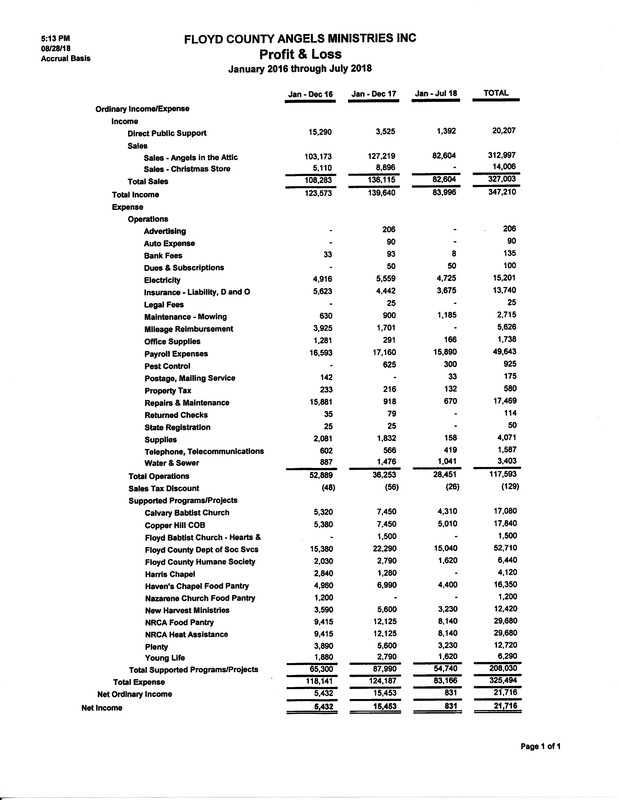 The independent Board of Directors makes the decisions on how to allocate the funds that are disbursed each month to charitable organizations that fit the mission statement. There are changes that occur over time.